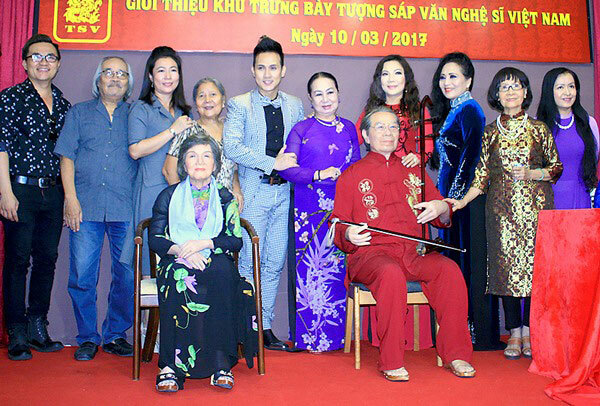 A museum featuring waxworks of more than 100 Vietnamese artists and entertainers is now open to public in Ho Chi Minh City. All the waxworks were made by Vietnamese artisans. The wax museum is located at Hoa Binh Theater in Ho Chi Minh City’s District 10. On display are waxworks of artists from different generations, from late composer Van Cao and legendary Vietnamese musicologist Tran Van Khe to such biggest cai luong (or southern traditional singing) artists. More contemporary artists, including Guinness World Record holding circus artists The Giang Brothers are also among the exhibited sculptures. The 1,500 square metre museum is set to increase the number of waxworks from 100 to 150 in the future./.